From thetorquereport.com a picture of a 2018 Nissan GT-R. I confess it’s impossible for me to ascertain the model year of a GT-R.
Eleven years ago today at the Tokyo Motor Show the current rendition of the Nissan GT-R was unveiled. Given that time frame and the relative lack of updating, many car enthusiasts think this GT-R is long in the tooth. Of course, this current iteration is not the first car with the name GT-R. 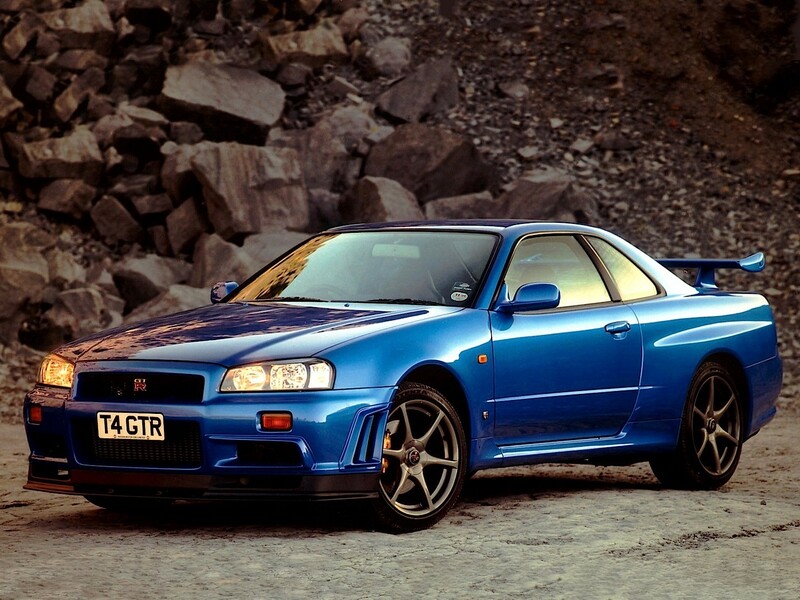 The first such cars were called the Skyline GT-R and they have quite a following; one could almost call it a cult. From autoevolution.com a picture of a Nissan Skyline GT-R from the 1990s. 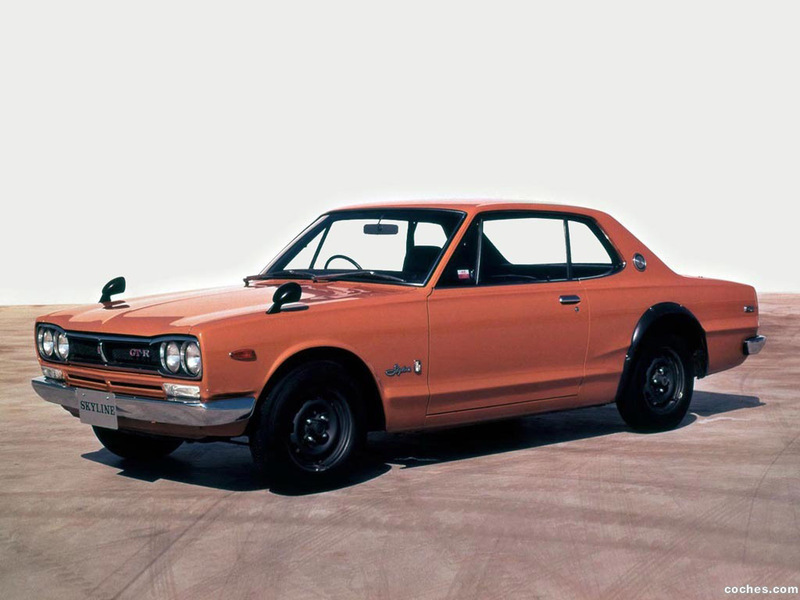 The first car with the GT-R name was actually produced from the late 1960s to the early 1970s. JDM Legends, a show on Velocity, seems to show almost nothing except Japanese cars from that time period. (JDM stands for Japanese Domestic Market.) Here is a photo of a 1970 Skyline GT-R from coches.com. Back to the present…I have shared these thoughts before, but I think the GT-R is an amazing vehicle even though I think that its relatively “low” price for the performance is somewhat misleading because the car’s maintenance costs are apparently excessive. A story from The Bristol Post in the UK says that a GT-R was pulled over by the police earlier this year after it was clocked at 167 MPH, which was the fastest speed recorded by any street car in the entire country from January, 2017 to May, 2018. The GT-R is powered by a 3.8 liter (232 cubic inches for Bill Stephens) twin-turbo V-6 that produces a peak of 565 HP and 467 LB-FT of torque. (OK, who is this Bill Stephens I keep mentioning? He is a long-time automotive journalist and one of the hosts of Mecum Auto Auctions on NBCSN. He often protests when an engine displacement (size) is described in liters instead of cubic inches. Mr. Stephens, like the entire NBCSN crew that covers the auctions, is knowledgeable and entertaining.) The GT-R is an AWD car and, nominally, has four seats although I don’t know how comfortable it would be to ride in the back for a long trip. The base MSRP is just over $100,000, which is really not expensive for a car with this kind of performance. It will accelerate from 0-60 MPH in about 3 seconds, which is very quick, too quick for most drivers. It seems as though a replacement for the current GT-R, if one will be produced at all, is at least three years away. The current Z car, the 370 Z, is also not new anymore. One wonders if Nissan plans to abandon performance cars completely. Yet another photo of an AMC Javelin, this one a 1969 model. I took this picture yesterday at a local Cars & Coffee gathering. A photo from the rear actually looks a little better, but I didn’t want to show this car’s license plate. It wasn’t profane, but who knows who’s reading this. I really think this car is among the best looking American cars ever although I prefer the 1968 since that year doesn’t have the hood scoops. Of course, that’s a Nissan GT-R, which has already been the subject of a post here. (https://disaffectedmusings.com/2018/03/27/godzilla/) I am quite curious as to what Nissan will do to “replace” this car. They can’t produce it forever in its current form. Perish the thought that cars like this go away; it’s bad enough that sedans are facing extinction under the onslaught of SUVs and pickup trucks. My wonderful wife and I attended two Cars & Coffee events this weekend; in the one from which the pictures are shown here we were accompanied by her parents. One should never wish time away, but I am looking forward to my wonderful wife and I reaching the age where we can tap into our retirement money without penalty. From Nissan’s website a picture of the very formidable GT-R. This is one of the few cars where the drivetrain excites me more than the looks. I think it’s an attractive car, but the AWD and the powerful twin-turbo V6 pushing out 565 HP and 467 LB-FT of torque are very appealing. I know a couple who race their Porsches and are very dismissive of anything that isn’t a Porsche. They call the GT-R a “numbers car” meaning, I think, that it doesn’t have the right sound or something. Sorry, everyone is entitled to their opinion and my opinion is that the GT-R is a hell of a car. Yes, I believe that this is not the first car to which the “Godzilla” nickname was applied. Still, I think the moniker fits. The GT-R is getting a little long in the tooth (as is the 370Z) and some of us are very curious to see how or if Nissan will replace the car. Enjoy it while it’s here.